HQ-510 RIP Ver. 11 is compatible with Windows 2012 Server 64-bit, Windows 2008 Server R2 64-bit, Windows 8 64-bit and Windows 7 64-bit. File formats include PostScript, EPS, HD Photo, XPS 1.0, TIFF 6.0, JFIF, GIF and JPEG. 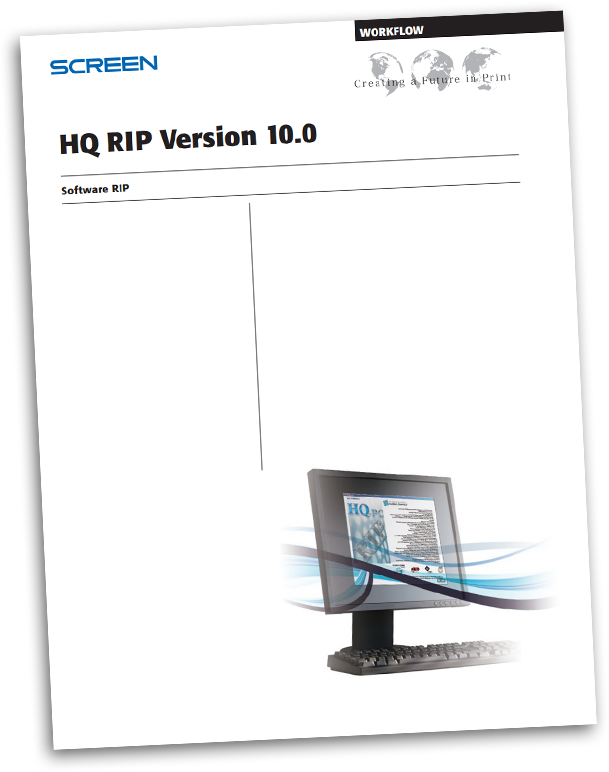 The HQ-510 RIP also supports PDF 1.7 or earlier files, without first converting them to PostScript. It supports PDF 1.7 features, such as transparency, JBIG2, 128-bit encryption and referenced PDF. It supports PDF/X-1a, PDF/X-3, PDF/X-4, PDF/X-4p, PDF/X-5g, PDF/X-5pg and PDF/VT.